The leader’s road to development here in Indianapolis and across Indiana is never just straight and narrow. It is always full of curves, stops, and hills and is often the place where leadership can get lost for periods at a time. Leadership is a continuous journey and we have to stay focused and on the path. Recently a good friend of Carnegie Training and its principles was in front of a crowd of local business leaders. She described that lack of direction that we all have experienced in the past. She used the term “smart goals” when planning the task at hand. And indeed we have to be smart. Managing and setting goals are essential to everything we do in the organization. Having a plan is always critical. Leaders who define goals and set objectives are always more successful than those who just react to situations and make decisions. Having vision is at the heart of success. 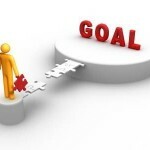 Consider using the following “road map” goal setting formula . Envision the goal: See it and understand the general intention. Write it down: A clear direction and commitment happens when we put pen to paper. Believe it: Half the battle is knowing this is the strategy is a very sound one. Date it: Everything in an organization, just as in life, has a starting point. Review it daily: Keeping the goal in the forefront of thinking helps with message. Share it: It is always about the message and who is on board to support and help. No one can do it alone. Revise it when necessary: Adjustments are part of the game. It is okay to modify, sharpen and improve the processes needed. Celebrate when the goal is achieved: It feels good to acknowledge success with everyone involved. Make it an event to remember. As our trainer friend said so wisely, there are never any unreasonable goals, just unreasonable deadlines. Always focus on planning to achieve each goal. Clarity, time and achievement are important aspects but it takes a lot of energy to move forward on our road to development. For successful leadership, it is well worth it. 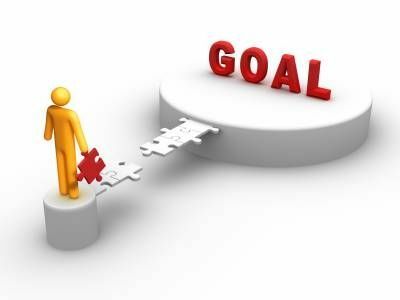 In association with this article on goal setting, click below for classes and additional information.